The Law Offices of Scott J. Bloch, working with Los Angeles based law firm, LA Superlawyers, and head partner William W Bloch, obtained an order on January 9, 2018, reversing an Administrative Judge’s previous ruling denying class certification to the class of Detention Enforcement Officers of the Marshals service. 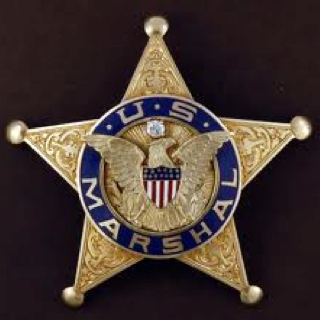 “This is a good decision to help the DEOs who have endured for many years being put into a lower class of employees of the Marshals service while at the same time standing alongside the higher paid Deputy Marshals performing some of the same duties but being refused the ability to promote or enjoy equal pay for their actual duties,” said their attorney Scott J. Bloch. In this order of the EEOC 20180109–Appeal Order EEO Class–Ramsey Tuaua et al. reversed the ALJ order refusing to Certify the Class of United States Marshal Service Detention Officers in the class action of Race, Age and Disability Discrimination, the panel at the EEOC set forth that the Marshal’s service has used for years fitness requirements that DEOs had long since passed and met to deny them promotion up to the Deputy position. Many other pieces of evidence show that the United States Marshal’s Service has discriminated against DEOs on the basis of Race, Age, and Disability, and retaliated against those who led the charge in this class action. The EEOC remanded for appointment of an ALJ and further proceedings on the case.